Which organisation said “unsustainable consumption” was one of the causes of climate change? If you answered NASA, you’re wrong. You’d also be wrong if you thought the WHO made that link. It was the Vatican scientific academy which also said the climate change was a “dominant moral and ethical issue for society”. People may balk at the verdict of a hybrid scientific-religious organisation, but so far, the Vatican has been one of the very few major institutions to continuously make explicit the link between human consumption and climate change. What’s more, on Thursday, Pope Francis will release his first major teaching letter, also called an encyclical, on the theme of the environment and the poor. The encyclical is expected to contain a critique of the global capitalist system which, the letter will argue, has encouraged the plundering of the earth’s resources beyond natural boundaries. The encyclical will also address issues of inequality in the distribution of resources, as well as topics such as food waste and the responsibility humans have to the environment, as well as the consequences on human health. 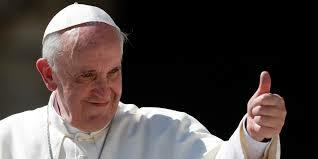 The Pope has already divided the Church with comments regarding climate change and some more conservative clerics have argued against Papal intrusion into scientific areas, as well as suggesting that developing countries should use fossil fuels to lift themselves out of poverty. However, much of the Church remains behind the Pope. Cardinal Oscar Rodríguez Maradiaga of Honduras, who coordinates the Vatican’s inner council of cardinals and is thought to reflect the Pope’s political thinking said “the ideology surrounding environmental issues is too tied to a capitalism that doesn’t want to stop ruining the environment because they don’t want to give up their profits”. For many people, religious or not, the Pope’s expected comments will be unwelcome. Not only will it be seen as an intrusion of authority into another domain, it will be seen as unduly normative, in that another Pope may have endorsed fossil fuel use. In the author’s opinion, the connection between climate change and consumption behaviours is not frequently highlighted in public discourse, and so any support the position can get from people in authority is warranted. We can’t innovate ourselves out of climate change; throwing money at the problem won’t halt global warming. What we need is a change in behaviour and attitude towards living, and Pope Francis’ critique of our attitudes towards global warming amounts to a critique of capitalism. The more authorities that are willing to publicly link overconsumption and capitalist excess with global warming the better. And at least on the subjects of inequality and overconsumption, Pope Francis won’t leave anyone guessing where he stands.